Just to be clear today we are reviewing and taking a closer look at the Quest Detknix W3 Wireless headphones and not any other model. A good set of wireless headphones can mean the difference between making a find and missing a find. 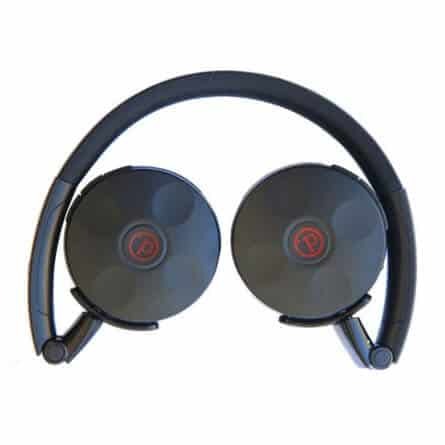 A good set of wireless headphones will also eliminate the wire issue when out metal detecting. When I say wire issue, you perhaps aren’t that fussy, but for me, the wire really does get on my bits. Constantly dangling in front of you while you’re detecting then you have the annoyance of taking the headphones on and off each time you’re digging a hole. I’ve actually even nearly put my spade through the wire a few times. Then after taking the headphones on and off repeatedly, the wire starts to twist and wind…I could go on but I don’t want to bore you with my moaning. Wire-free headphones for me are a welcomed piece of kit in your metal detecting arsenal. They’re going to make your detecting experience a little bit less stress-free and more fun. 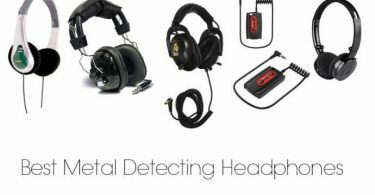 Don’t get me wrong some of the standard metal detecting headphones available are fantastic quality but if you can afford to do it wireless metal detecting headphones are highly recommended. Detknix is now officially known as Quest, the makers of the Quest Q40, Q20 & Quest Pro detectors. So the headphones although called Deteknix W3 Wireless headphones on this post are actually now called Quest W3 Wireless headphones. 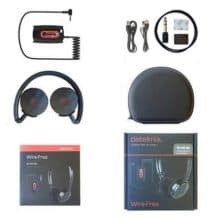 So if I refer to them as Quest headphones somewhere in this post please be aware I am talking about the Deteknix wire-free headphones. Confused…yeah me too! Upon opening the box the Deteknix W3 Wireless headphones come in you will be presented with a half circle shaped pleather carry case complete with zipping. The case obviously is hard and will protect the headphones. Unzipping the case, inside, you will find 2 USB leads, The W3 headphones transmitter, the W3 headphones and 2 black elastic bands and the manual. Volume control can be found on one side of the headphones located on the rim of the earpiece. The power button is central to the up and down volume switches. On the rim of the other earpiece there are more controls, play, skip back and skip forward. I’m not quite sure why they have included them, perhaps for if you wanted to use them for your iPod or a music device. But they have no relevance to metal detecting. The Deteknix W3 have an adjustable headband which gives sufficient adjustment for average heads. If you have a massive head though you might struggle a bit. I’m not sure on the measurements. Foldable, they fold down nice and flat and fit in the hard case. No lag. In fact, I would go as far as saying close to zero. USB charging. There are two USB leads and you will need to charge both the headphones and the transmitter. I would say you get roughly 8 – 10 hours use of one full charge. Just in case though you could buy a USB car adaptor so you can charge with your cigarette lighter. These headphones are not going to break the bank and are a fantastic investment for anyone who can afford it. You can either go straight to the Deteknix website (now quest) or you can grab yourself a set from Amazon directly from the Deteknix Amazon store. In my honest opinion, the Deteknix W3 wireless headphones are well worth the investment. I found them very comfortable and light, they are slimline as well so you barely notice them on your head. Unlike some other metal detector headphones that are heavy and chunky. Padded both on the earpieces and the headband so you can be sure they won’t be digging in and annoying you at any point. To attach the transmitter to the detector you use the black elastic bands provided this fits nicely at the back of your detector tucked away so it doesn’t get in the way. It’s even got the tube groove at the back of the transmitter box for the best possible fit. The wireless range of these headphones is pretty impressive as well you’re looking at about 10 meters. Not that you would need them to work that far away. They are very loud, so you’re not going to want to set them at full volume. Very easy to increase and lower the volume with the volume controls on the earpiece, you’re not fumbling around trying to find the button. They’re going to make your metal detecting experience far more enjoyable, no headphone wires! Well, this is just a massive improvement for me. As far as any kind of “lag” goes (lag is the time it takes for the signal to go from the detector to the headphones) well I didn’t notice any kind of lag, for me its instant. If there is a lag then you’re not going to notice it. The best thing about the Deteknix W3 Wireless headphones is you can buy them with both types of jack and they have created a set of wireless headphones that are completely universal. So if you upgrade you can keep your headphones for your next metal detector. Oh if you own the Garrett AT Pro they also do a version for them as the socket is different on the AT Pro. Being one of the only companies that have produced wireless headphones in a universal way I think they have done a grand job. They were needed in the metal detecting world. Before this, you would have had to spend a crazy amount of money to pick up a detector with wireless headphone capability or buy numerous components to mod your detector. The Deteknix or Quest W3 Wire-free headphones are an absolute bargain. They come highly recommended. A purchase you most definitely will not regret! Not sure on if they will fit a massive head. 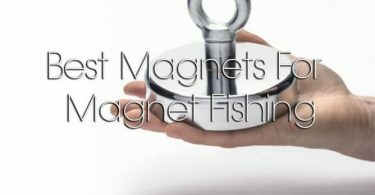 Attachment Clip on rod or hang on. What metal detectors will the Deteknix W3 Wireless Headphones Work With? 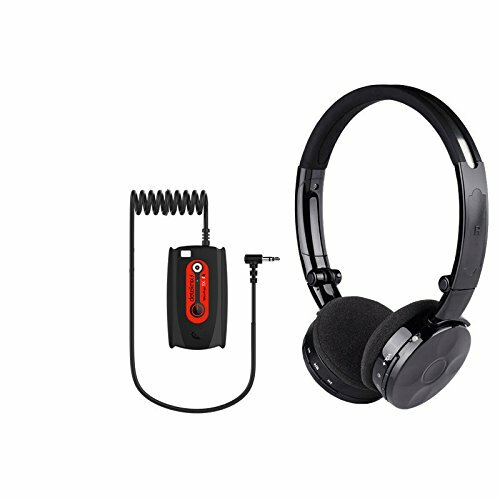 The Deteknix Wireless W3 headphones can be used on any metal detector that has a normal headphone jack socket. Adapters are included to use on 3.5mm and 6.35mm jacks. There is a separate version of the headphones for the Garrett AT PRO & Garrett AT Gold. Where can I get the manual for the Quest W3 Wireless Headphones? You can download a copy of the user manual for these headphones here. How do I repair the W3 headphones and transmitter? These headphones come pre-paired however if you believe they are not paired then you can repair them by putting the headphones and the transmitter next to each other, press and release the power button of the wireless headphones quickly. The LED indicator of the transmitter should then stay on.